A new year; a new you. This is the time of year that many people turn to focus on health/eating better and/or exercise. This recipe is a great addition to any health goals. I take it with me on long walks, to keep hydrated. 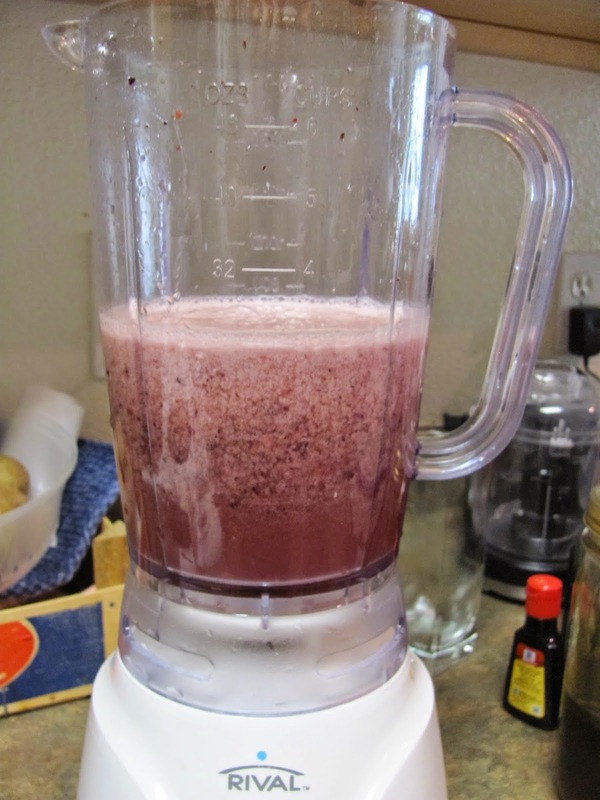 Pour about half of coconut water into blender carafe. Add remaining ingredients and then the remainder of the coconut water. Blend until well mixed. Pour through a strainer, removing any remaining fruit bits. 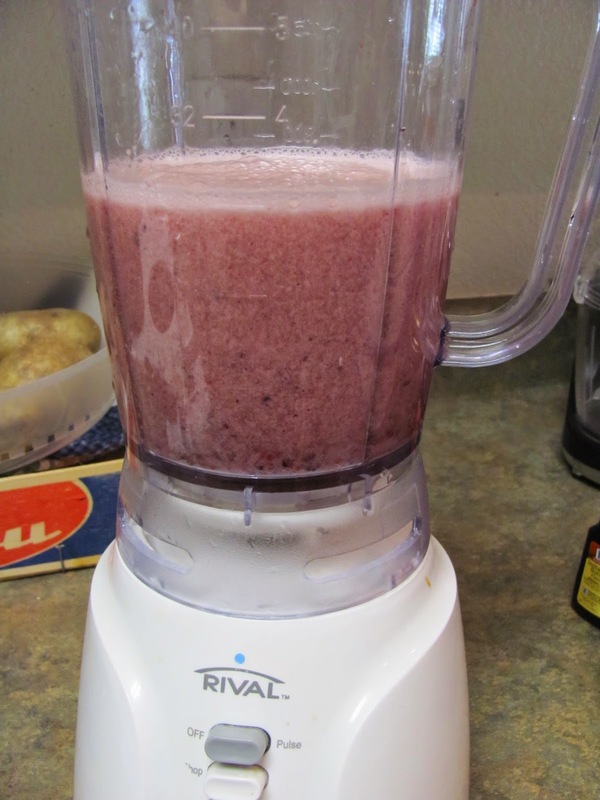 Put bits back into empty blender; add about 1/4 c water; swish; blend again for a couple of seconds. Strain again; discard any fruit bits remaining. Pour into sports bottle; enjoy on your long walks/runs. 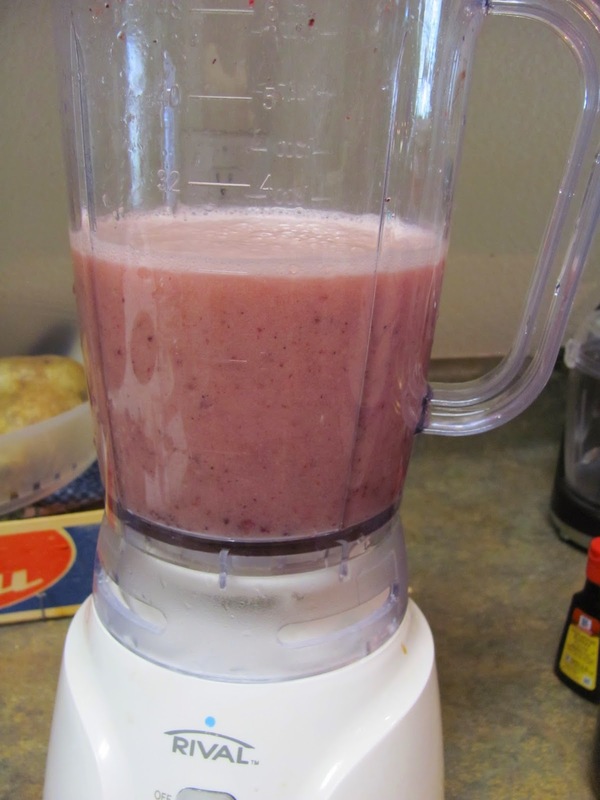 You can change the fruit, liquid, fruit juice; sweetener to your liking. Have fun; enjoy. Here are additional pictures of the drink…once it sets a bit, it separates a little – just shake it up before taking a drink. I hope you have great holiday celebrations! I’ll be back after the new year.